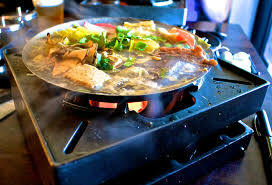 Introducing an even better Boiling Point! Their R&D team has upgraded and enhanced their soup base flavors with higher standards. These new flavors are nourishing, satisfying and dynamic. Stop in to share these incredible flavors! New hot soup taste, garlic bean paste and chili oil, produced by better ingredients, improved ratio to let customers enjoy the upgraded taste.